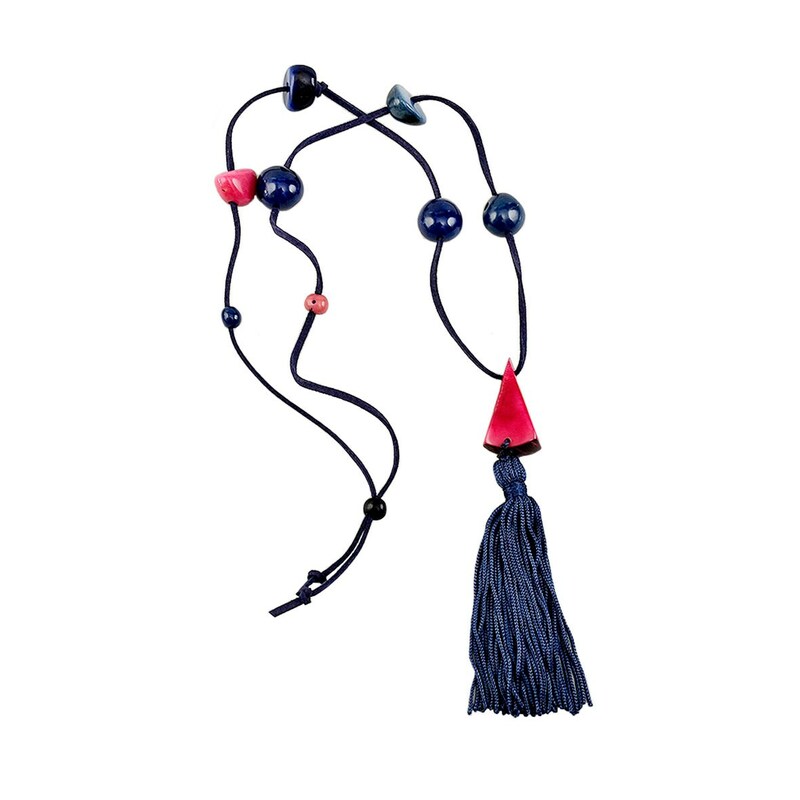 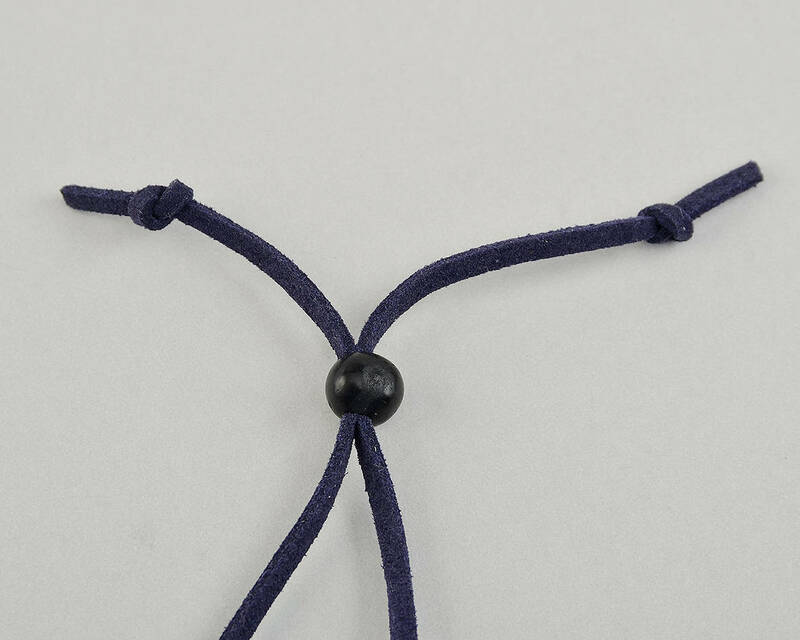 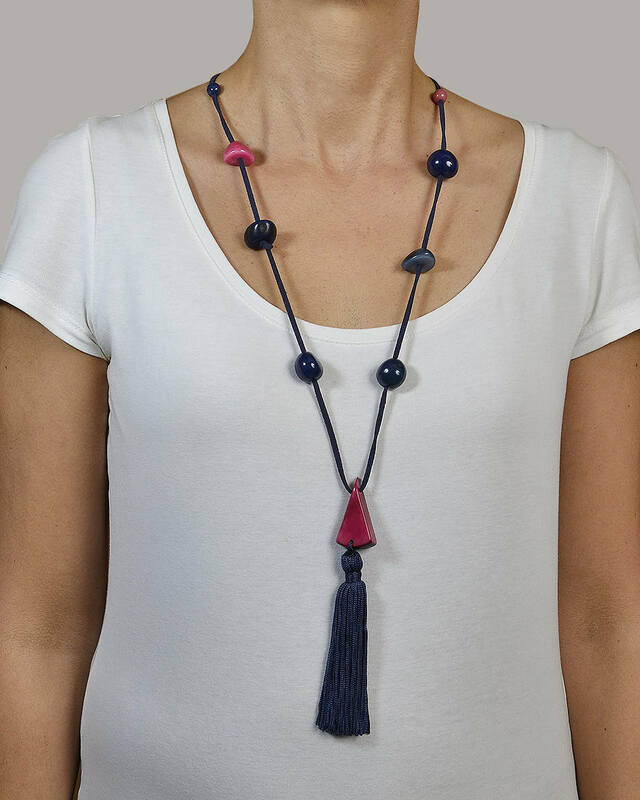 Navy pink long tassel boho necklace made with tagua nuts. 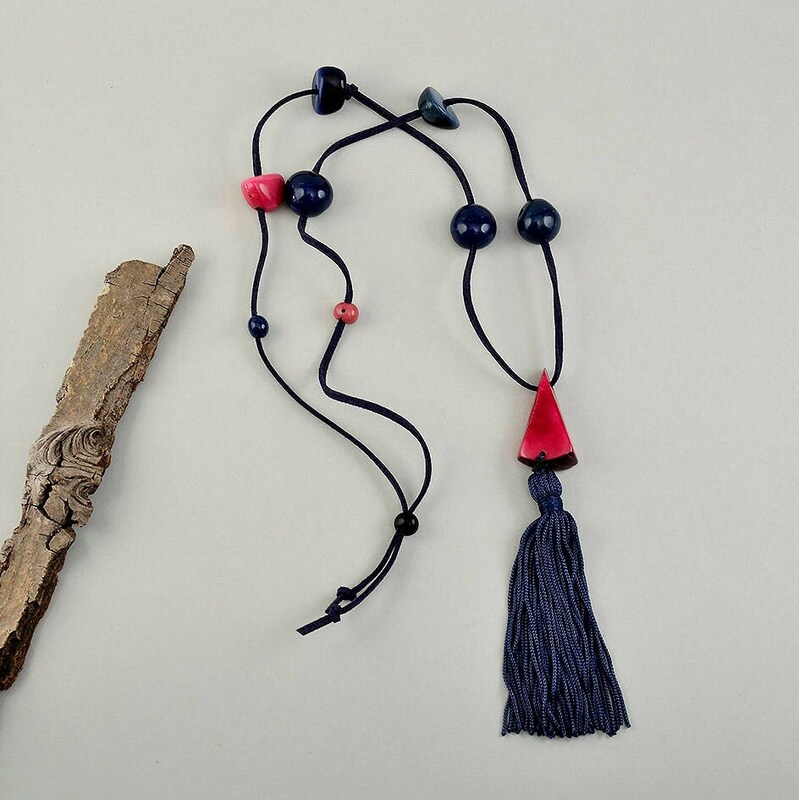 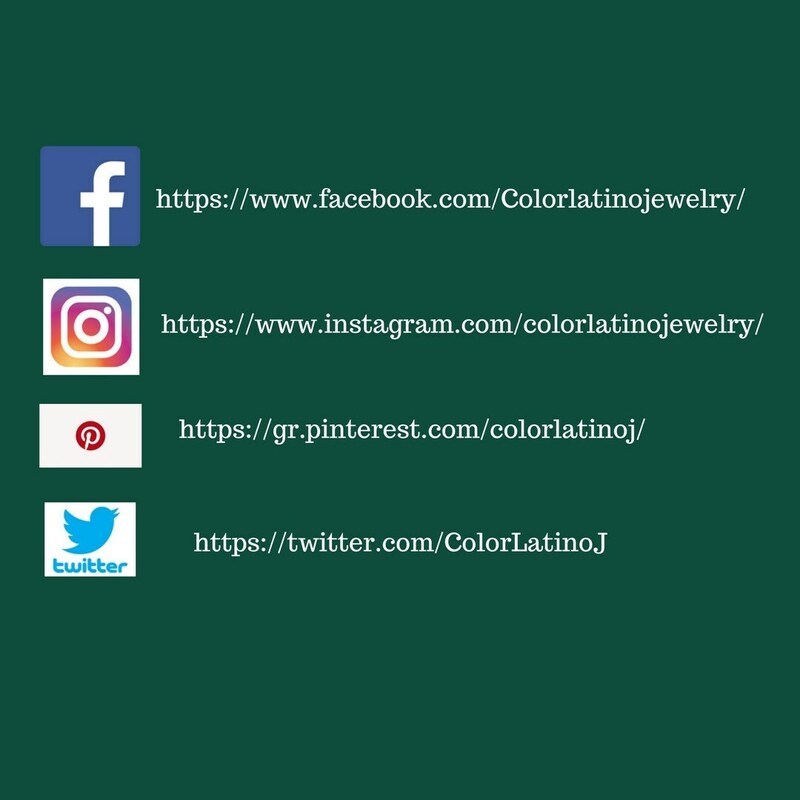 If you are looking for a blue fashion fringe beaded necklace, this bohemian forest tagua nut chunky necklace is a great choice for you or for a gift . 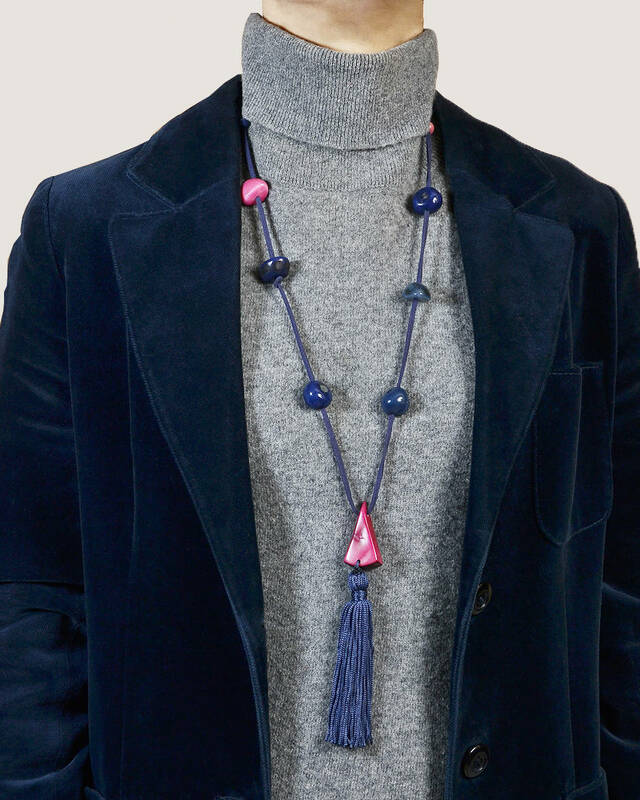 A totally handmade women necklace, where the tagua nuts are carved by hand and then adorned with a a tassel to make it a charming and fun accessory that combines with any casual outfit.